Imagine waking up excited for work every day and only commuting five minutes to get there. 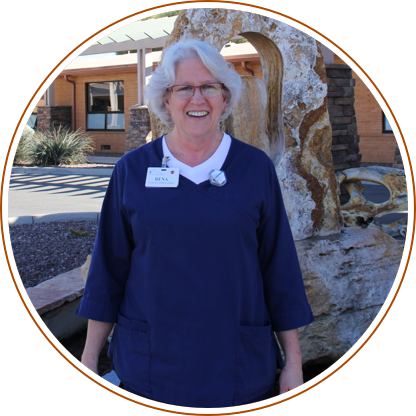 This is a reality for Rena Koeneke, Lead Mammographer and Staff Technologist, who joined Wickenburg Community Hospital back in 2001. This was proven when the community united and raised funds for a state-of-the-art CT Scanner at the hospital. Purchasing the equipment was only possible with funds that Wickenburg residents raised and donated themselves. Rena recalls how deeply humbled she was the first time she used it and continues to be grateful for the opportunity to serve such generous people. These people who are her patients, her neighbors, her friends. Are you searching for a compassionate and committed team? Browse our current job opportunities below. If you do not see an opening in your area of expertise, join our Talent Community to be considered for future roles as they become available.